The State of Firefox OS, What's In Store for 2015? The State of Firefox OS, What’s In Store for 2015? 2014 has been a roller-coaster year for Mozilla, starting with the backlash at co-founder Brendan Eich after becoming CEO. Following this was the implementation of video streaming DRM in Firefox. Last but not least, was the switch to Yahoo as the default search engine for Firefox after the deal with Google ended. What might look like a big mess on the outside, is in fact a well planned strategy to leave space for Firefox OS, Mozilla’s mobile operating system to disrupt the mobile duopoly and penetrate the low-end market. Firefox OS (also known as ‘Boot to Gecko’) is a Linux kernel-based open-source operating system completely based on open web technologies. Since its launch in 2013, Firefox OS devices have received mixed reviews, but many forget that most Firefox OS devices weren’t designed to compete with their often 4x as expensive counterparts. Intex Cloud FX is the best example with a price tag of $33. As mentioned by many, Firefox OS empowers feature-phone users to make the switch to smartphones, while not compromising their budget. Mozilla kept this promise by launching several devices in Asia under the $40 price tag, proving that there is still an unexplored market left in the low-end range. Another option is Android One, but there are many for whom $100 is still too expensive. Let’s have a look at some of the milestones of the Firefox OS adventure in 2014. Firefox OS devices are now available in 29 countries offered by 14 operators across the globe with a steady growing focus on Asia. It has been a commercial success, especially in India, where sales have surpassed 500k devices. At Mobile World Congress 2014 in Barcelona, Mozilla impressed many by announcing the cheapest smartphone ever launched, the ‘Intex Cloud FX’. Following this, Cherry Mobile launched the ‘ACE’ in the Philippines with an even crazier price tag of $22 (does this qualify for a Guinness World Record of the cheapest smartphone ever sold?). Outside the mobile space, Firefox OS has found traction in other fields. As an alternative to Google’s Chromecast, Hong Kong startup Matchstick offers “a streaming stick that lets you fire up online content from a mobile to a TV” for only $25. 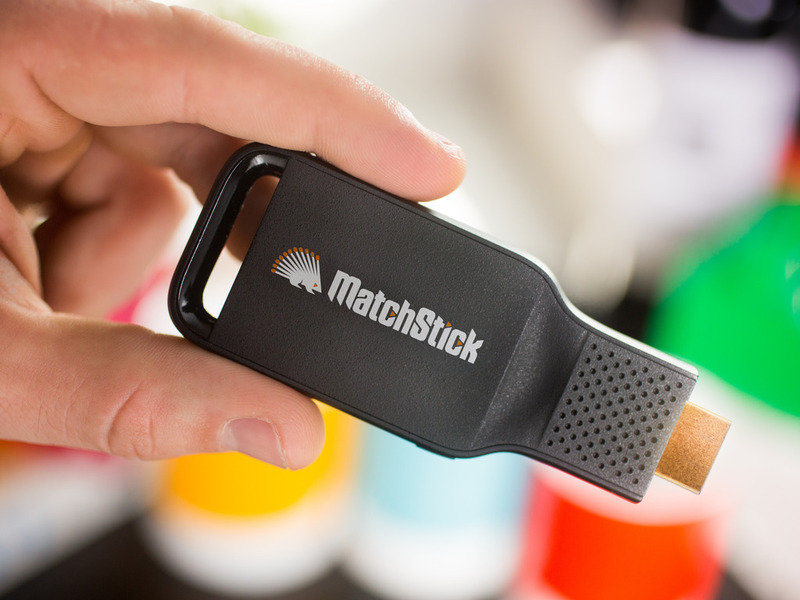 Compatible with Chromecast 1.0 apps such as YouTube, Photowall, and This Week in Tech, Matchstick raised and surpassed its $100k funding goal on Kickstarter at $470k. It promises compatibility with Chromecast 2.0 apps, which means that developers can recompile an app after changing “only a few lines of code“, according to Matchstick. Mozilla also announced a partnership with Panasonic. Agreeing to collaborate on the development and promotion of Firefox OS on next generation smart TV’s. These were introduced at CES for the first time. Japan has a, let’s say “extravagant” taste for just about anything. You can see this influence in LG’s newest Fx0 device, designed by renowned designer Tokujin Yoshioka (who worked on the LG G3). Yes, it’s transparent, and no, it’s not a gameboy! I like to think that Mozilla’s nature of working in the open was the inspiration for Mr Yoshioka. Wether you’re a fan of transparent phones or not, you must however admit that the golden Firefox home button is pretty amazing. Style comes with its price though. 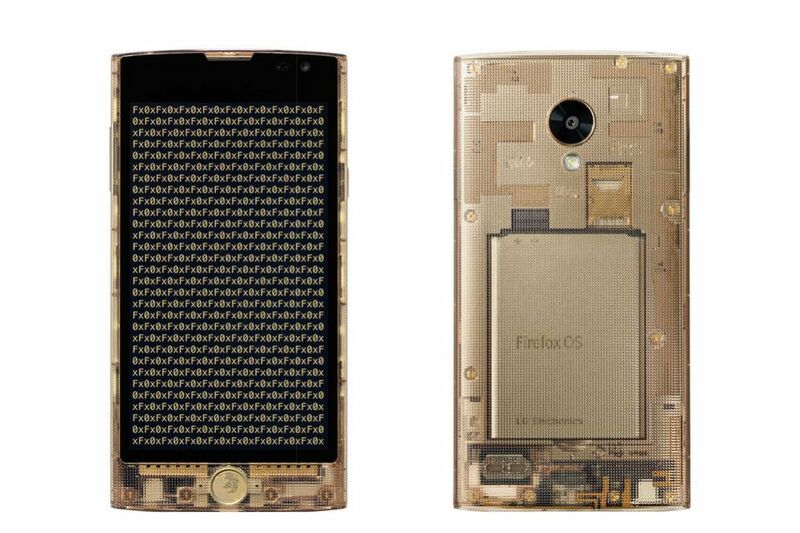 As the most high-end Firefox OS device yet, the Fx0 retails at $420 in Japan, You can see its full specs here. Distancing itself from comparisons with the Android operating system, Mozillians all around the world have worked hard to make Firefox OS 2.0 a reality, featuring an overhauled UI and UX together with new features that many Firefox OS users were waiting for. I wrote about this some months ago if you want to dive deeper into the Firefox OS 2.0 experience. The Fx0 is also the first consumer device to run Firefox OS 2.0 out of the box. Firefox OS cares about its developers and later in the year we were able to experience new development tools in the Firefox OS app workflow. Among them, WebIDE is probably the most important addition. WebIDE replaces the Firefox OS App Manager, including some additional deployment and debugging tools. It now features a code editor based on CodeMirror and the tern.js framework. Applications can be deployed on a real Firefox OS device across USB or WiFi, or in a simulator. As Building Blocks becomes outdated, Mozilla suggests you use other tools in order to keep pace with the Firefox OS ecosystem. For more details have a look at the Mozilla Developer Network. 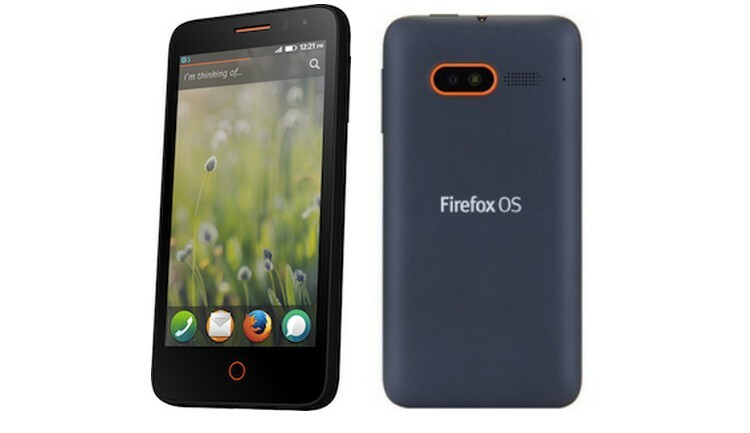 A highlight in Firefox OS devices, Mozilla launched the “Flame” Developer Reference Device to purchase online, or through their app developer program. Similar to what the Nexus devices are for Android, the Flame served a sole purpose. To give developers the needed tools and ecosystem to create advanced apps for Firefox OS. With a price tag of $170 (including shipping) the device seems to have delivered what it promised. For those who want to harness the power of open web apps on Android, the APK Factory comes in handy. Similar to the desktop browser, if you install a web app, Firefox repackages the app as a desktop application, integrating it perfectly with the rest of your system. Since Firefox 29, this applies on Android too. Web Apps will be listed as tasks/processes and function like usual Android apps. Mozilla definitely got people talking about Firefox OS in 2014. Although still very far from the leading mobile operating systems, winning the war is not Mozilla’s goal here. Disrupting the mobile world is, and that might be needed in an ecosystem where iOS and Android, two proprietary operating systems are taken for granted. 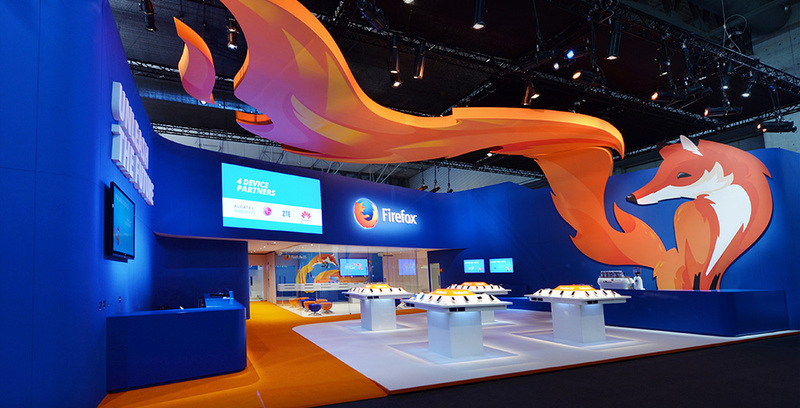 More news will be revealed at the latest on MWC 2015, where Mozilla co-founder, Mitchell Baker, is confirmed as a keynote speaker and SitePoint will be there to keep you up to date on all developments. One thing that might be worth noting is that rumours point to Whattsapp working on a HTML5 version, which would probably be easy to port to FF OS. This would make one of the most awaited apps available on this platform. Mozilla and firefox is good choose for who really care about privacy and end users freedom. With lowest price many poor people around the glob can access smart phones with really freedom and privacy. Web is the best platform and must be open and free for use all users. And mozilla will care about these. I donated to Firefox for the first time in 2014 as their suite of products have helped me no-end in my quest to be a better web developer with boxChilli. I use Firebug, Thunderbird and Firefox or at least did do on a daily basis. Sadly as soon as I donated I started to experience some worrying happenings with my favourite browser. Regular sluggishness, poor speed in comparison to the competition (Chrome to be exact, I would never touch IE :)), Flash errors etc... Many of the other developers I know have been having the same experience and are moving to Chrome. This is a real shame as one of the things I like about FF is their brand ethos. Many people care about the ethos of the brands whose products they utilise but the vast majority will not use an inferior product no matter who makes it. I hope they turn things around soon! 3-4 years back I have a strong feeling that FireFox is unmatchable and unbeatable but with the passage of time Chrome really established itself a lot and FF started loosing, different issues as Matt mentioned in last post. Now after 4 years I have the same feeling for Chrome - let's see who will beat them, might be FF will reign again and win the hearts of developers and users again who stopped using it or using as a second option.